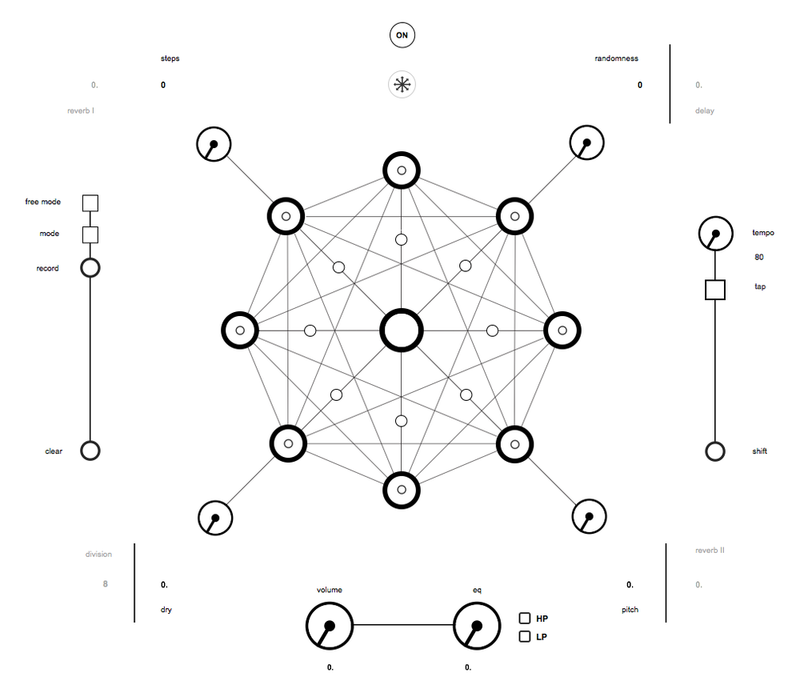 simple, integratable, monophonic sequencer built in Max/MSP. Adding Machine is a simple delay system, built in Max/MSP. It captures the input of a microphone and continuously loops the stream at prescribed intervals. All input is repeated, timbrally unaltered, and sent to either two or four distinct speakers. The machine can be set to automate the switching and fading of delay banks by stepping through predetermined ‘scenes’, allowing a performer to create different and dynamic forms and textures.